Liberty’s Origin96 stood out for its soft snow performance, thanks to ease of turn initiation as a result of its a rockered tip, and Speedcore Carbon Core, a bamboo/poplar woodcore mixed with carbon fiber that creates a predictable, progressive shovel flex. 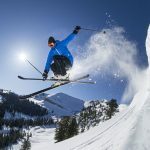 In soft snow, the ski is stable, with easy maneuverability, especially in mid-radius turns, which our testers feel is one of the key attributes of true All Mountain performance. 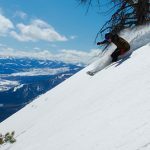 Some of the ski’s highest marks were in the Stability and Resort Float classifications, for the way it continued to make methodically easy to steer and edge GS turns in the bumps, trees, and windblown steeps. 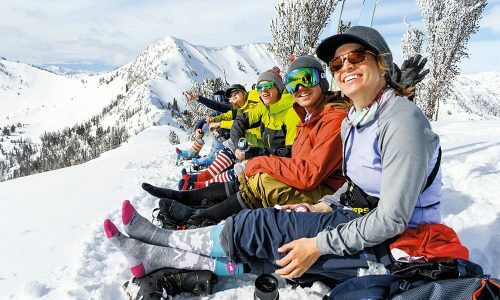 The Origin96 is ski that will reward Colorado, Montana, Utah, Squaw Valley and Jackson Hole skiers in particular with its penchant for making fall-line turns in mid to high-angle terrain where even days after a storm, the snow is still soft and mixed. Like some other skis in this category, including the DPS Wailer and K2 Pinnacle 95, the Origin96 did not exhibit that same ease of use or carveable confidence at higher speeds on the hardpack, where the ski felt sluggish at the mid-arc of a turn, particularly at higher speeds, where it did not hold as effective an edge. 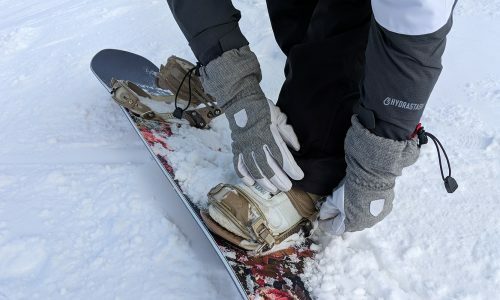 To be sure, several of our testers recommend the Origin96 for expert All Mountain skiers who want a fun, floaty, predictable go-to ski to ride all the terrain at their local hill on a daily basis. 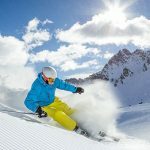 There were just enough hard carvers who felt the ski backed enough at the moments they wanted edge hold and stability the most for us to conclude there are also a lot of skiers who will prefer something with more consistent stability and grip. Overall scores for the Liberty Origin96 were all above average, with several 8s (out 10), a few 7s, and also a couple testers who rated it a 6. The off-piste performance of the ski is what is going to thrill skiers about this ski, especially if they have chosen to live near mountains where the snow is more often softer, more abundant, where on any given day a little wind can change all the terrain into a wonderland of whippy little bumps and gossamer soft spindrift. The mixed ratings on the ski’s hard snow performance, however, which ranged from good to just ok, is what kept this ski from becoming a more universal pick. 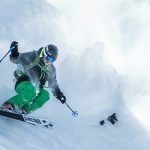 The ease of initiation provided by what almost all our testers felt is an example of All Mountain tip rocker done right, as well as the smooth flex of the Origin96, which made carving an off-piste GS turn a thing of pleasure, were key to the ski receiving above average marks for Responsiveness. 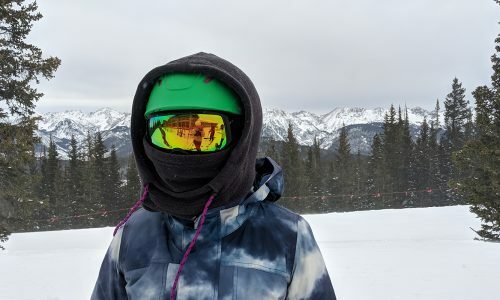 On harder snow, a lack of energy – as well as a sense of less groomed grabbing dampness –is what kept the Responsiveness rankings from being at the top of the class. The same can be said for Stability. Off-piste the Origin96 is a master of the mid-radius turn, arcing through soft snow conditions with predictable confidence. 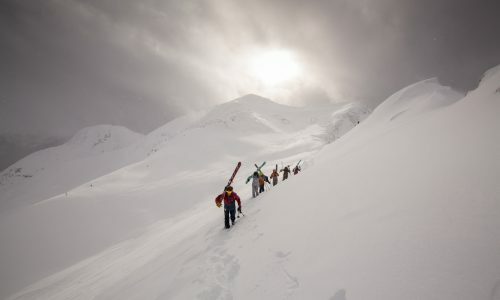 It’s especially good in windblown snow, and coming straight down the fall-line on cut-up steeps. Back on the groomers (where we all eventually end up on most lift-served days), the ski was not as accurate and able to hold a hard edge. This is really the Origin96’s strong suit. And, some might argue, one of the keys to what a good All Mountain ski is all about. The Resort Float provided by the tip rocker and progressive shovel flex is so good on this ski, that it’s the number one reason a significant number of our testers would be more than happy to ski the Origin96 on a regular basis. 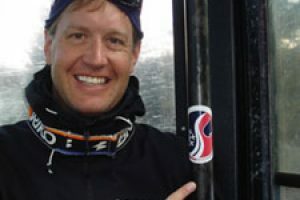 A true Carving ski, the Origin96 is not. The ski does not feel like it has sufficient edge contact on hard snow, where it loses performance the harder you drive it. That being said, race-style skiers will be disappointed by how the ski handles on hard snow. 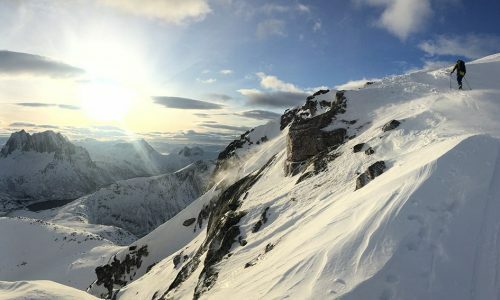 But almost everyone agrees that this is an awesome ski off-piste. Dimensions130/96/118 mm at 182 cm.